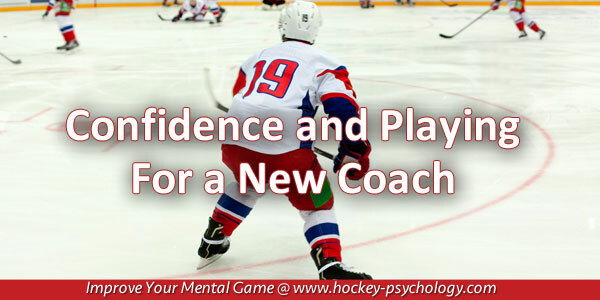 Changing teams, moving up, or playing under a new coach creates anxiety for many players. Playing under a new system or having a new position coach can interrupt continuity and make you feel like you are starting from square one. 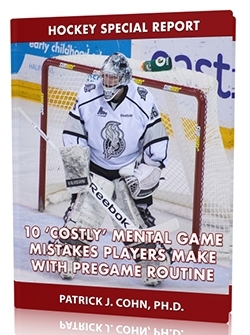 The reality is that you will need to adapt your playing at many times during your hockey career. No matter your age, coaches will try to refine your technique in an attempt to improve your skills. To get to the next level, you will need to learn to adapt. Adaptation is important because change is a certainty. The first approach focuses on the negative, “I just started getting comfortable playing this way and now this coach wants to change everything.” Here, you are meeting this new challenge with resistance which slows your progress and keeps you from your potential. A more productive approach is to see the benefit in change. A new coach can teach skills that can build on your current skill set. Even the way a coach may word his instruction to you could cause something to click in your head and help you improve at a faster rate. Braden Holtby, goaltender for the Washington Capitals, is in his sixth full NHL season and on his fifth goaltending coach. Adjusting to another voice could delay the progress of many goalies but Holtby sees the positive in such change. Holtby’s ability to adapt and welcome change helped him win the Vezina Trophy in 2016 and start this season strong with a 2.87 goals-against average. Even though repetition is the key to grooving your skills, you also can learn new skills to build on your existing skills, in small increments, to raise your game to the next level. If you reject or are hesitant to change, your game will not grow. You need to have a growth mindset to improve your game and to adapt new ideas into your existing skill set. New Washington Capitals’ goalie coach Scott Murray believes Holtby’s growth mindset and ability to adapt to change have added to his success as a goaltender. The next time you are faced with change, view it as opportunity to raise your game and uncover more of your potential. Respectfully talk to your new coach. Express your concerns about change. Look at the new situation as a chance to learn and advance your game. Be sure to make big changes in the off season or preseason. If you can embrace change, you will have a great opportunity to grow your game and learn new skills. It only takes one distraction to enter your mind for you to lose a critical point, miss a putt, or lose a second off your lap time. 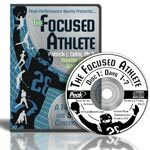 You cannot afford to let distractions run wild in your mind and cause you to make errors at critical times in the game! How to quickly identify distractions that sabotage your concentration and how to quickly refocus after distractions. How to use pregame routines to help you harness the power of zone concentration before competition. How to use preshot routines before shots or serves to help you be more task-focused instead of worrying about results. What are customers saying about our mental game programs?